Finely chop 1/2 onion and add to bowl. Chop 2 tomatoes, add to bowl. Chop Cilantro and add to bowl. Juice 1/2 lemon over bowl containing onions, tomato and cilantro. Use salt and pepper to season. 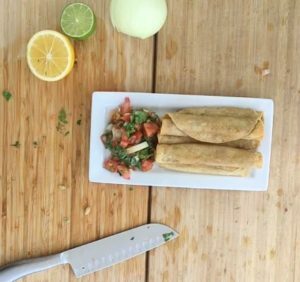 Serve with StarLite Cuisine Vegan Taquitos or Rolled Tacos!